Hey guys! This blog post is coming at you from Laura and Merav. 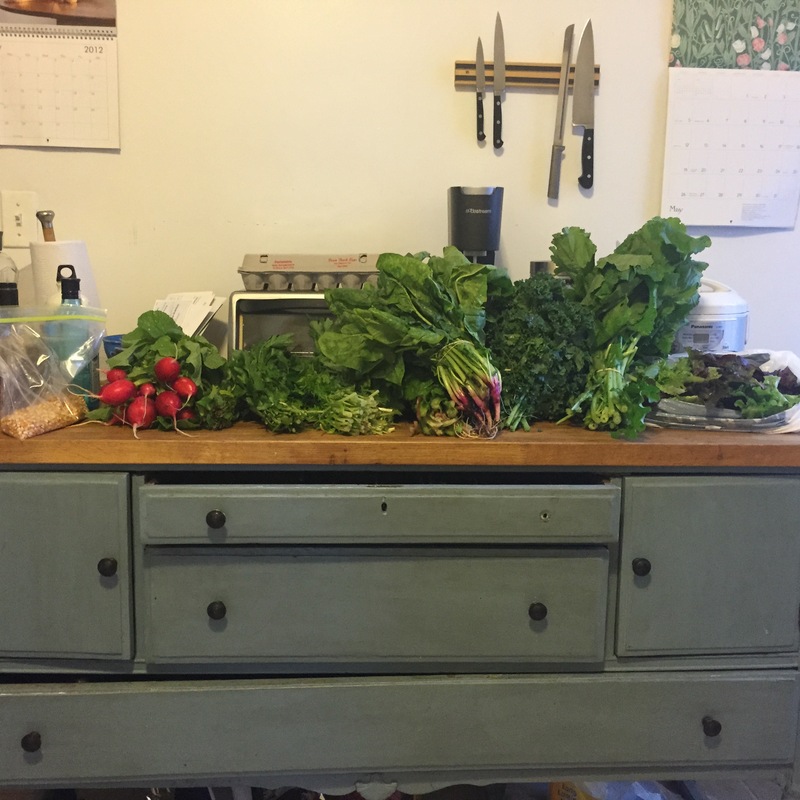 We are friends and roommates and this is our second season doing the CSA. 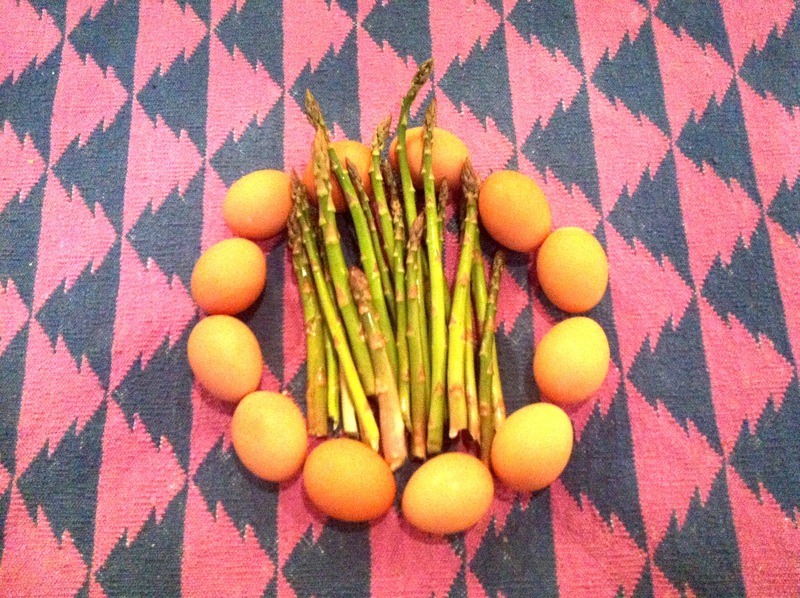 We get a bi-weekly egg and veggie share. 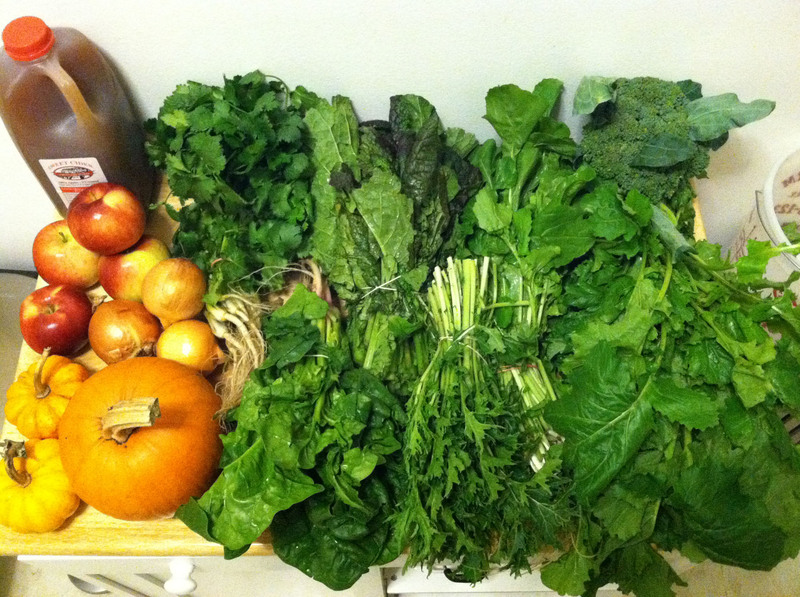 We share groceries and cook a lot of meals together so sharing the CSA works out really well for us. 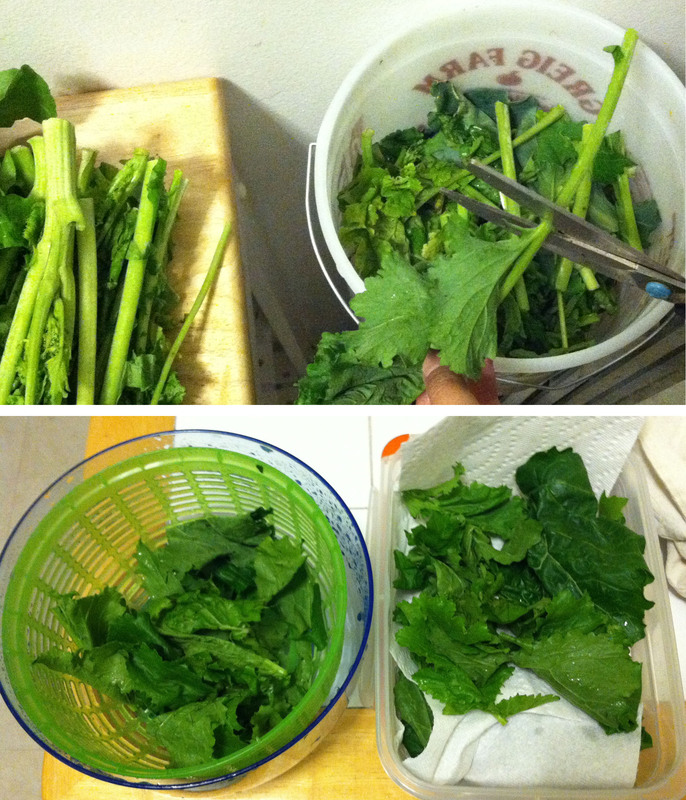 We were super excited for veggies to start and this week was definitely all about the greens. 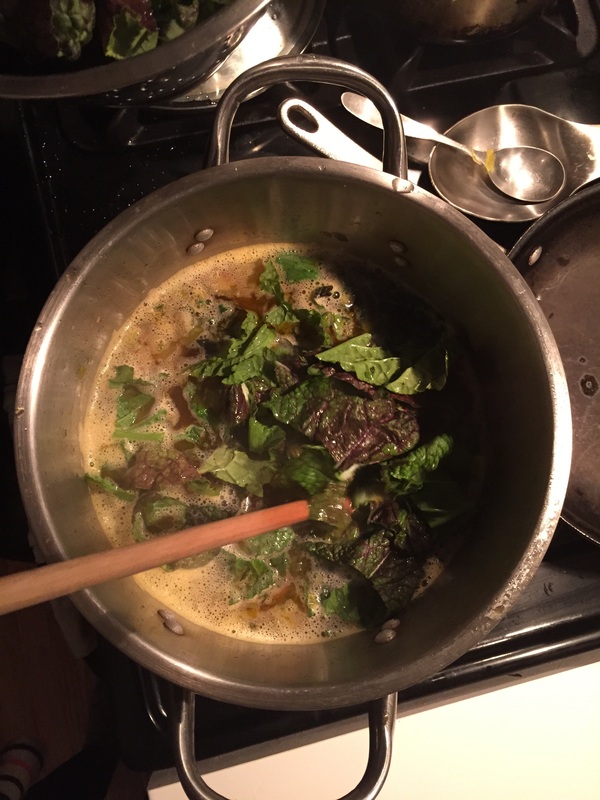 This week of cooking has basically been all about shoving greens into anything and everything that we make. 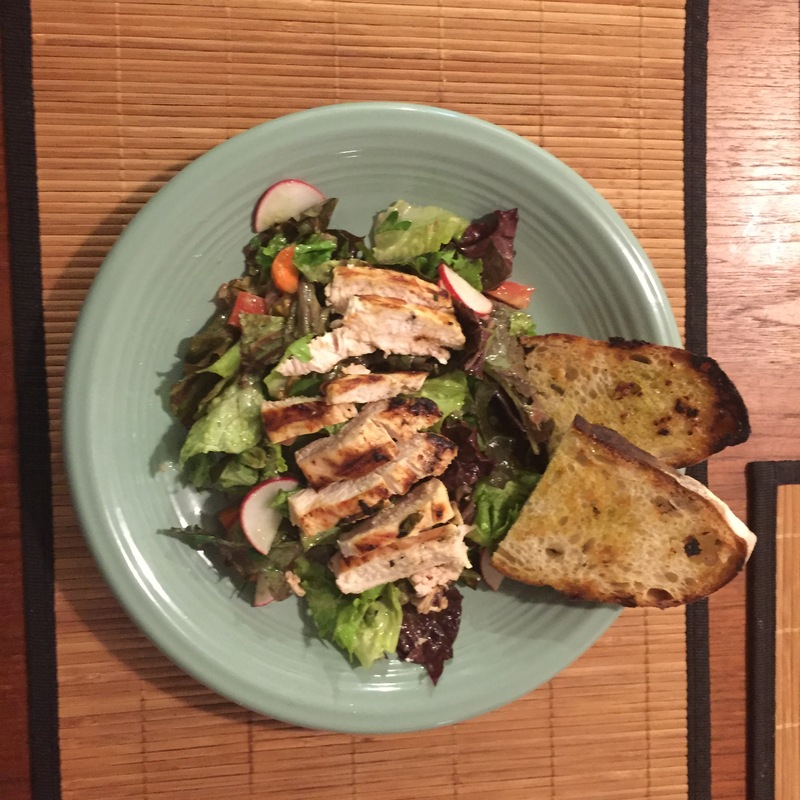 Here’s a rundown of some meals that we’ve made and how we’ve been using our shares. 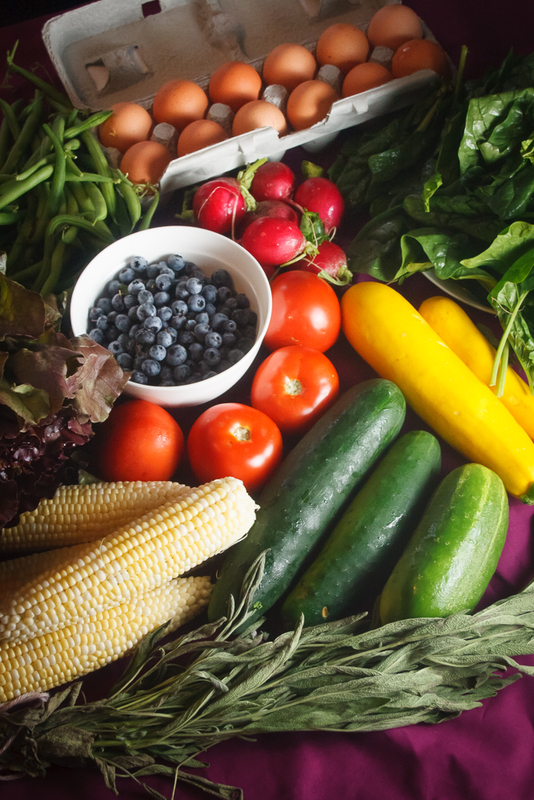 In the five years we’ve been Southside CSA members, we’ve frequently planned a fall dinner party in order to share some of our haul and try out some more ambitious dishes to share in our blog post. This year we did have a party, but one of an entirely different sort. 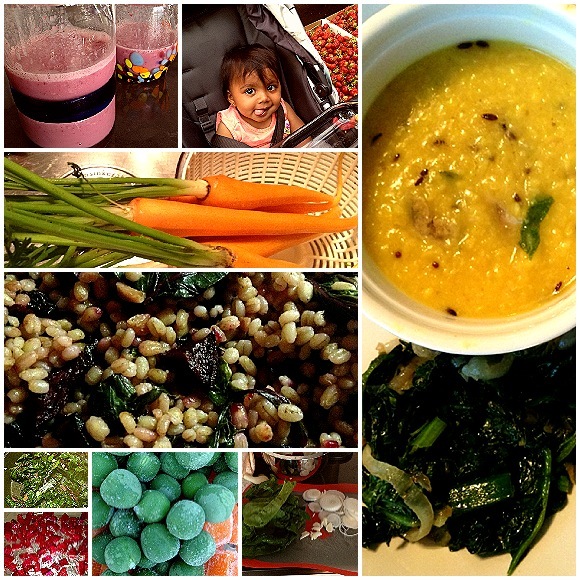 Since we welcomed Elias, our seven month old, into our family, our meals need to be fast and ideally sharable with a baby. We still like to entertain, though, so our recipes this week will feature two meals from the beginning of the weak meant to take us through a few days, a few lightning fast meals, baby friendly treats, and some party food from the Halloween bash we threw for Elias’s buddies and their parents. 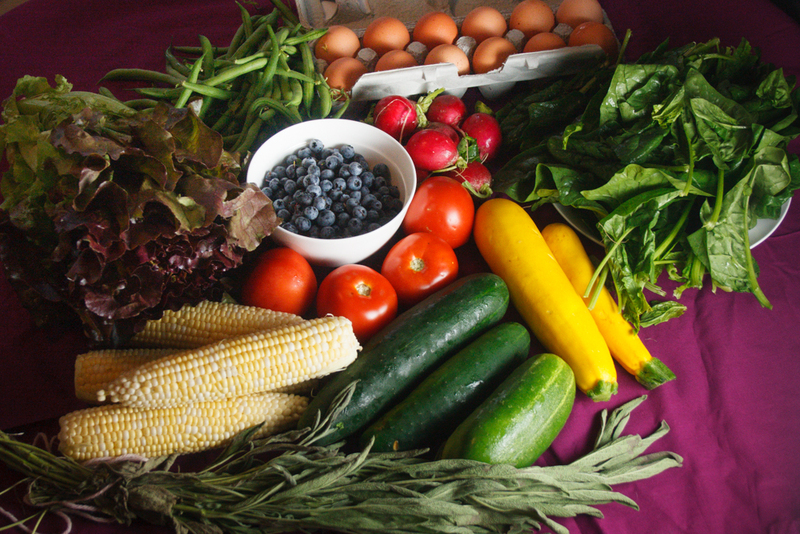 We pick up bi-weekly, and we have the veggie, orchard, berry, egg, and meat shares. We began the week with several (still fresh!) leftover items from our previous week’s pickup due to some busy schedules, stomach viruses, and time spent out of town with our families. So, some items featured in this week’s meals are from the prior week. 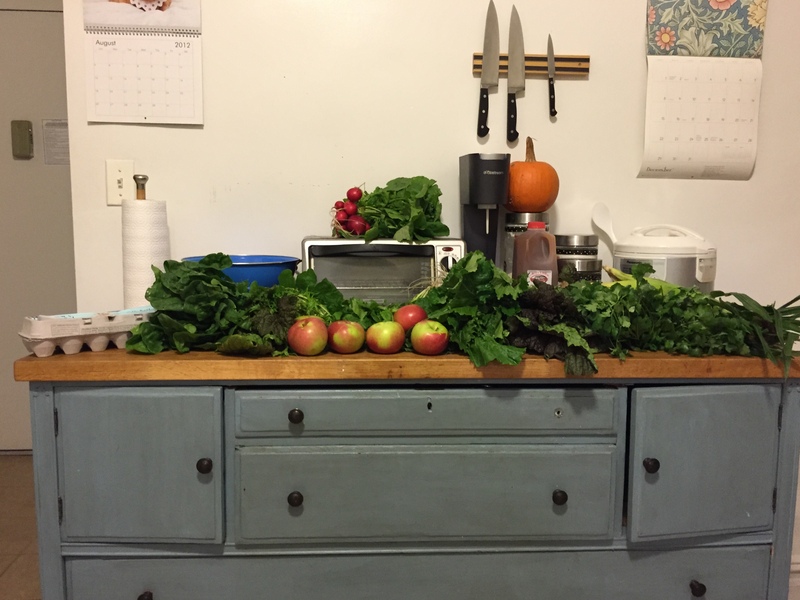 Included in this week’s pickup: Apples, apple cider, red and yellow onions, decorative gourds (‘tis the season), popping corn, Swiss chard, two bunches of spinach, mustard greens, and a head of cabbage. 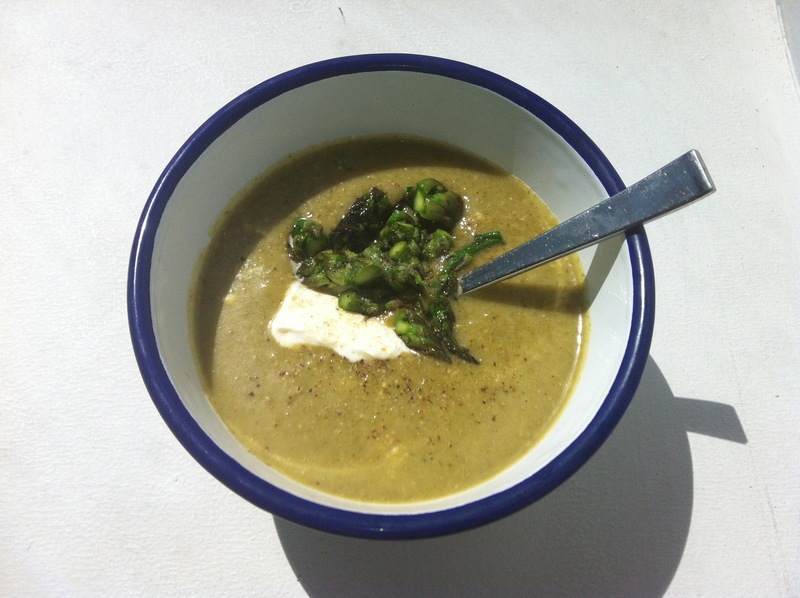 We began each of the last two weeks with soups. 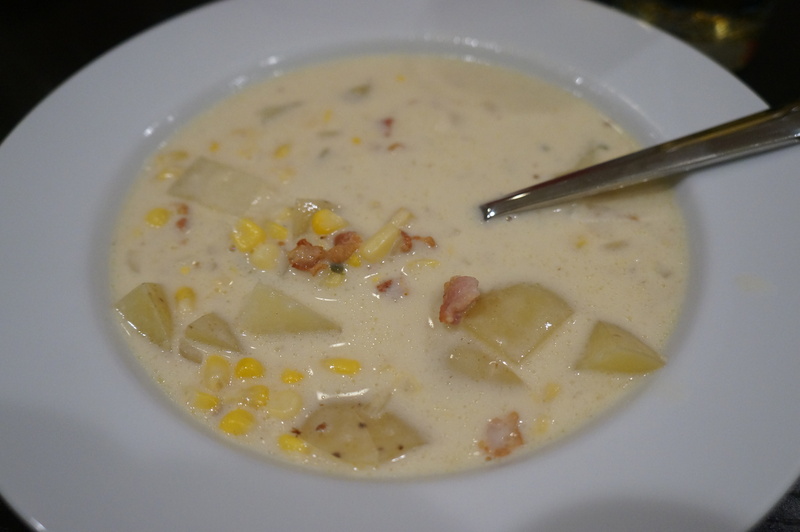 Last week, we used up some of our CSA veggies with a corn chowder. We cooked the bacon in a bit of olive oil, then took it out of the pan. Then we added the potatoes. When everything was cooked through, we added cream and salt and pepper to taste. 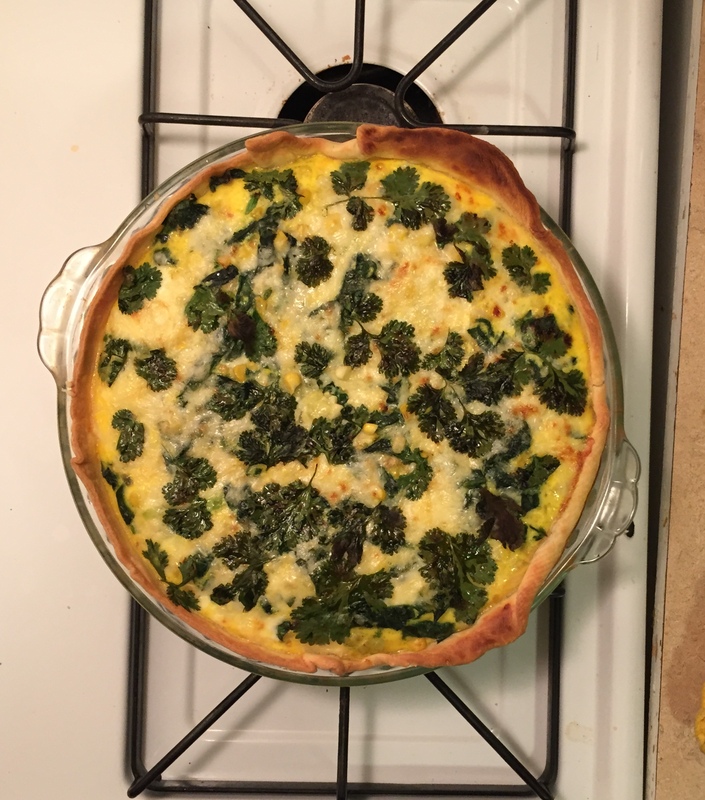 Monday: After picking up the share, we decided to make a quiche with the spinach, corn, red onion (from two weeks ago), and eggs from the share. I just used a quick store bought crust, then I just sauteed up the veggies and added them to the crust. Then poured a mixture of 4 whisked eggs and about a half cup of milk plus salt and pepper on top. We added some shredded cheddar cheese and cilantro on top, then baked. 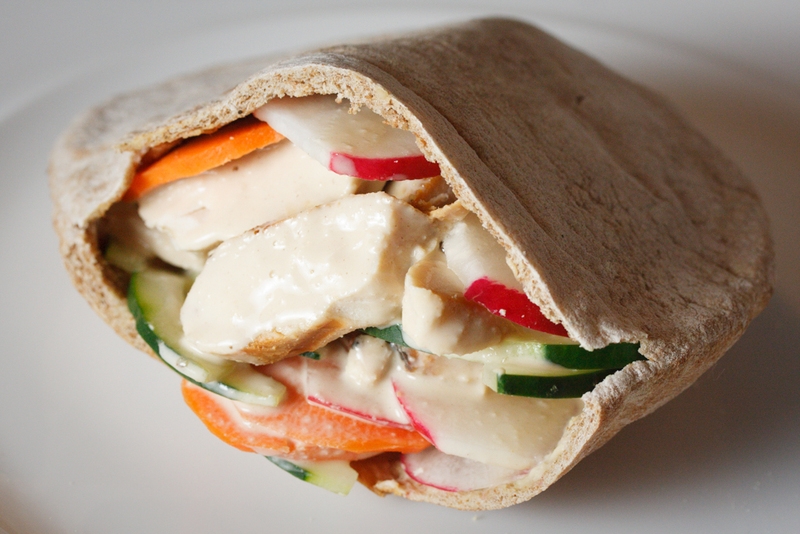 This is a quick and easy meal that also makes great breakfasts or lunches throughout the week. 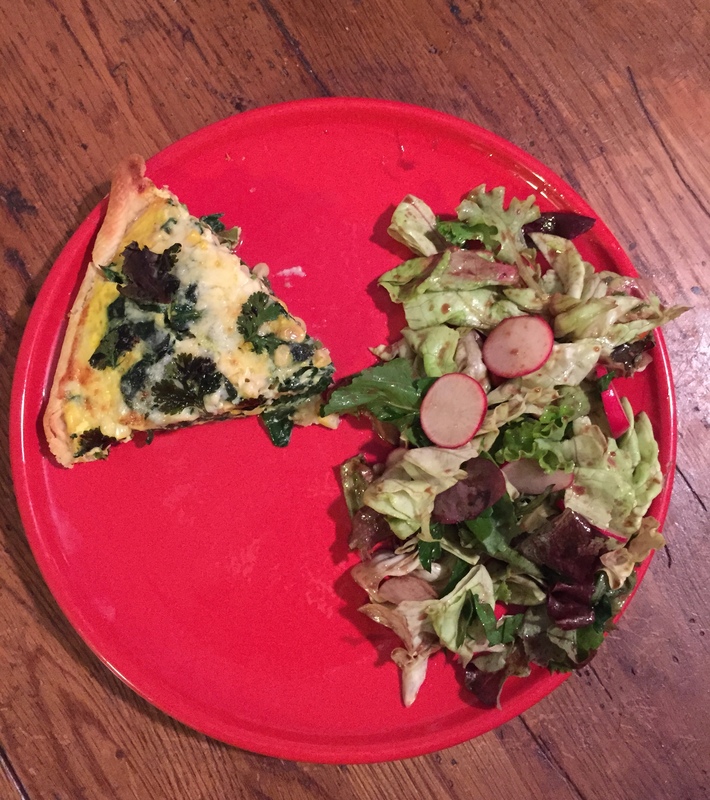 We served the quiche with a salad using the Asian mixed greens and the radishes. 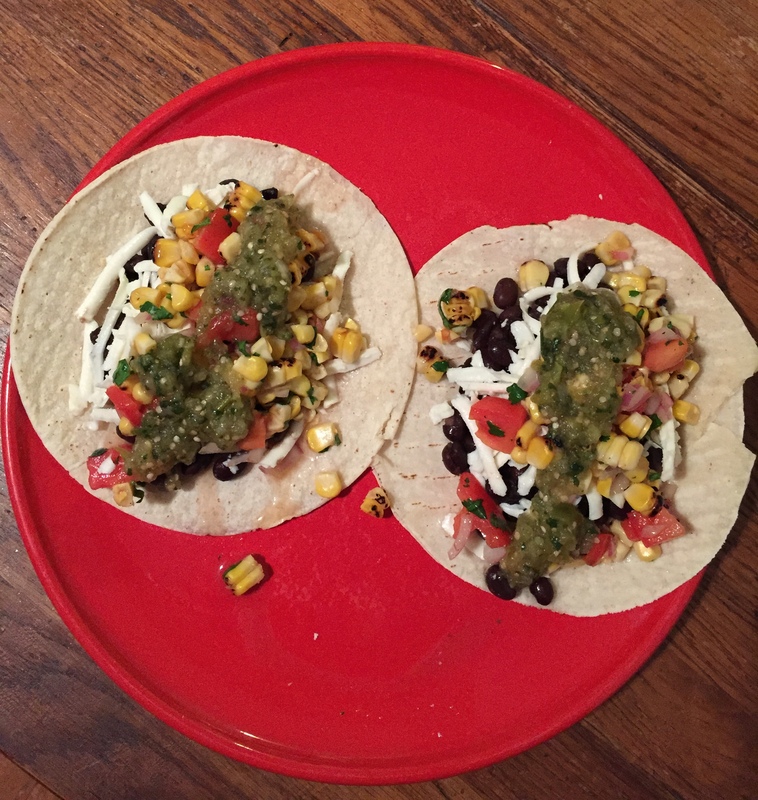 Tuesday: Today we had vegetarian black bean tacos. I just used some simmered black beans and served the tacos with a salad using an ear of roasted corn, cilantro, red onion from 2 weeks ago, and a non-CSA tomato. 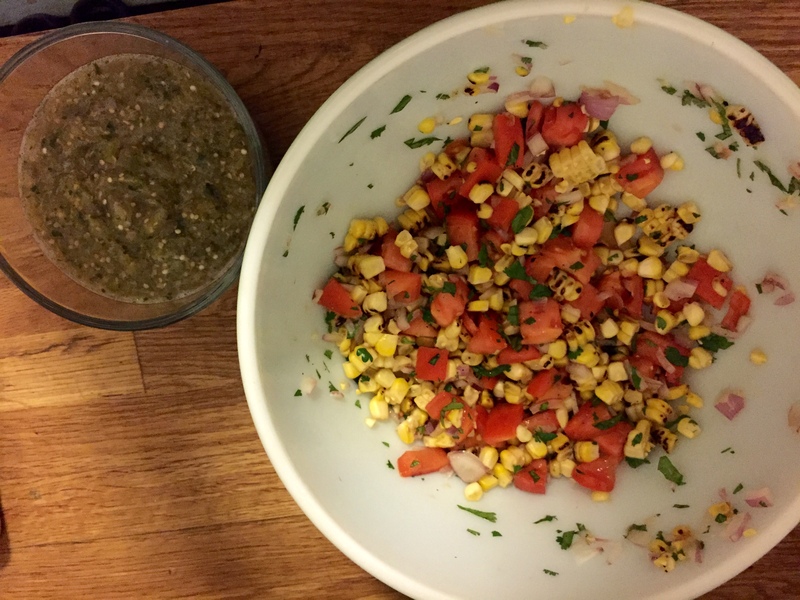 On top I used a tomatillo salsa that I had from last week that is the recipe that you guys posted a few weeks ago. It is really yummy! Wednesday: Tonight we had Asian rice bowls (although I served it on a plate! ), kind of a mix between Japanese and Korean flavors. This meal is also a good way to use up any random vegetables you may have lying around as you can pretty much throw whatever you want in here. 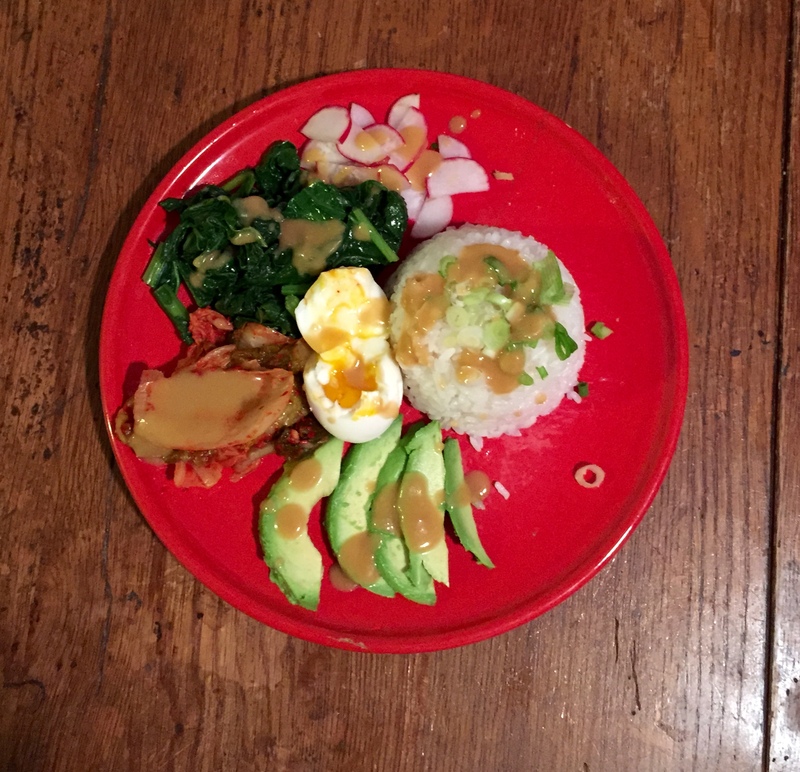 The base is steamed Japanese sushi rice, then I added: steamed mustard greens, sliced radishes, and a soft boiled egg all from the share, plus some sliced avocado, kimchi from a jar that I had in the fridge, and chopped scallions. I just made a dressing with miso paste, rice vinegar, and sesame oil and drizzled that on top. 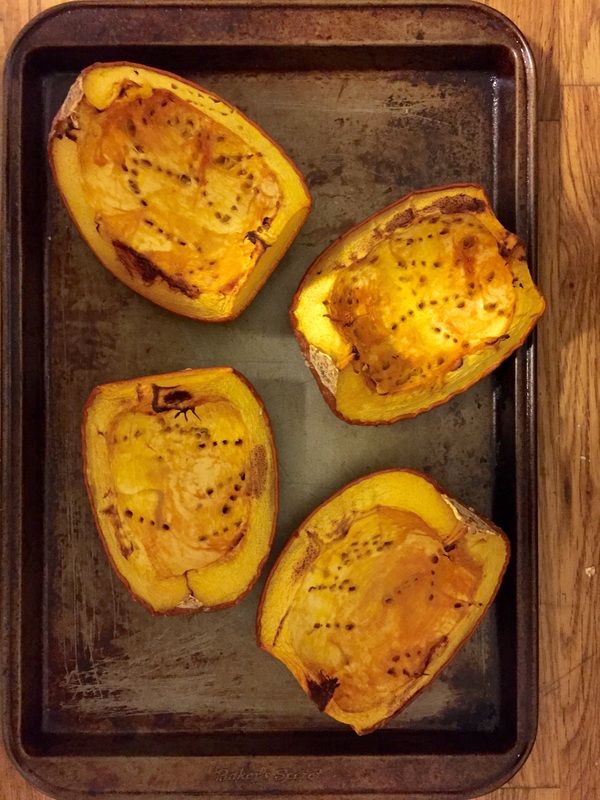 Thursday: Dinner was Was leftovers tonight but I did get around to roasting my pumpkin from two weeks ago. Just roasted in the over then pureed in the food processor. 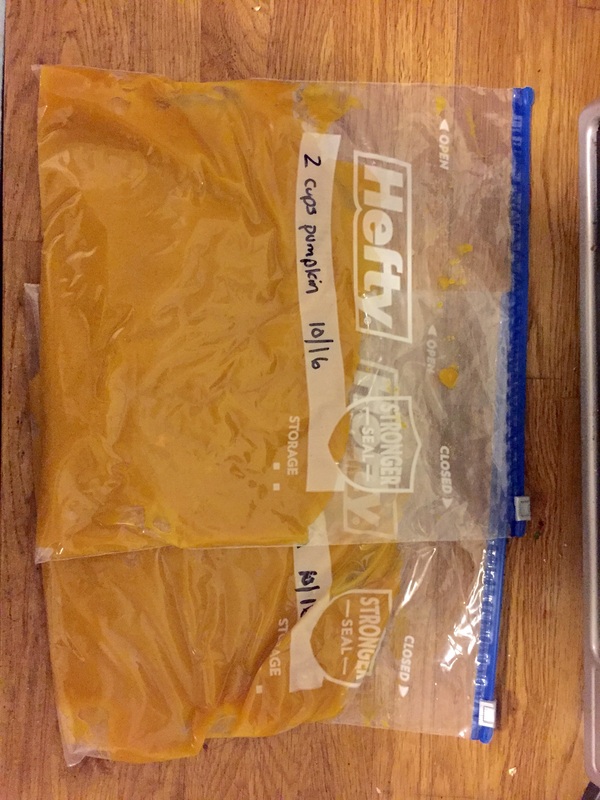 I saved it in ziplocks and will keep in the freezer until I’m ready to make a pie! Friday and Saturday we didn’t cook. 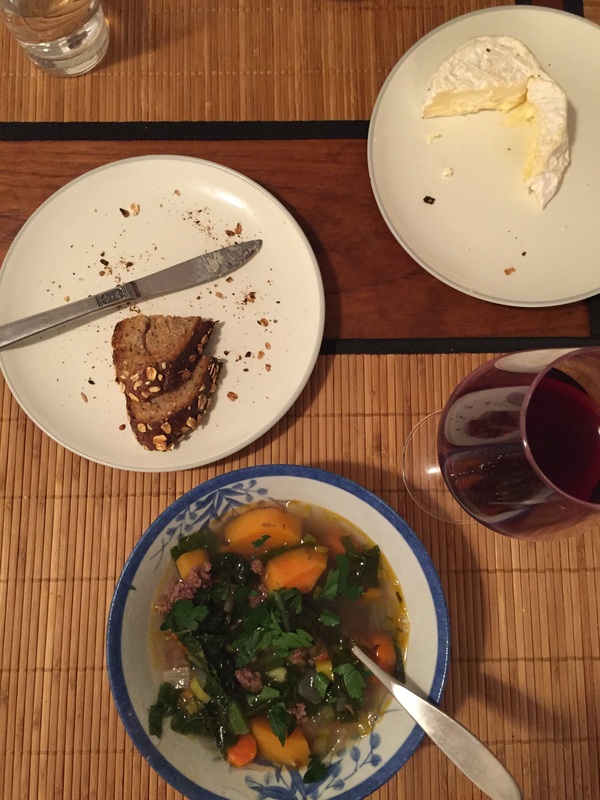 Sunday we made a soup with the other bunch of mustard greens and lamb sausage as well as some other random veggies thrown in. We served it with bread and cheese!! So that’s our menu for the week. 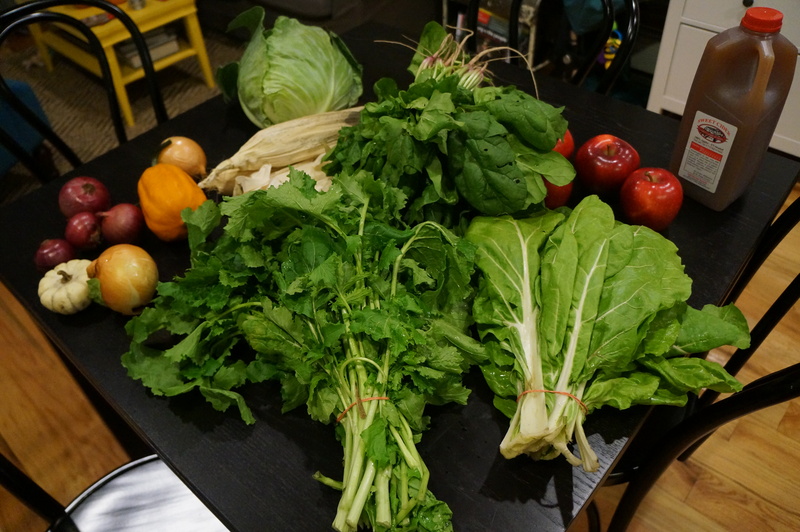 We still have some greens and cilantro that we’ll use up this coming week!